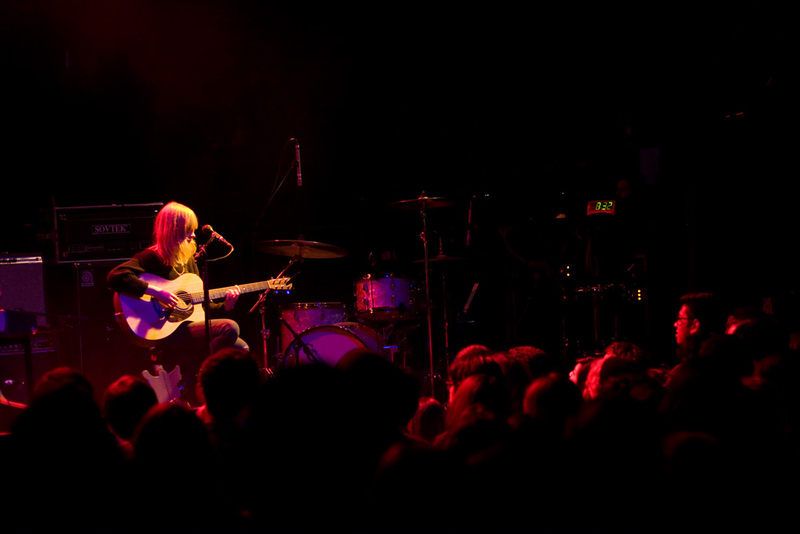 Lucy Rose, wow. The UK singer’s first L.A. appearance felt less like an opening set and more like an industry showcase, clocking in at a teasing 20 minutes. But the crowd — the sort of audience that was still young and interested enough to get to the show in time to line up around the block for doors — was robust and respectful, aside from the inevitable “Marry me!” cat-calls. Teenagers: it’s still not funny (and no, it’s not going to work). See, Rose is a pretty British blonde, which may earn her comparison to Laura Marling, though Jose Gonzalez is more apt. Playing without the sleek band of her thus-far singles, she took the stage armed with an acoustic guitar, fingerpicking in a rhythmic, bass-note driven style that gave her songs energy and complexity beyond traditionalist folk balladry. Her lyrics are less Marling’s striving poetry than straightforward relationship narratives — which is fine, since they’re ultimately vehicles for her voice, a quiet, breathy instrument with startling precision. In another life, “Middle of the Bed” could be a Kelly Clarkson single. 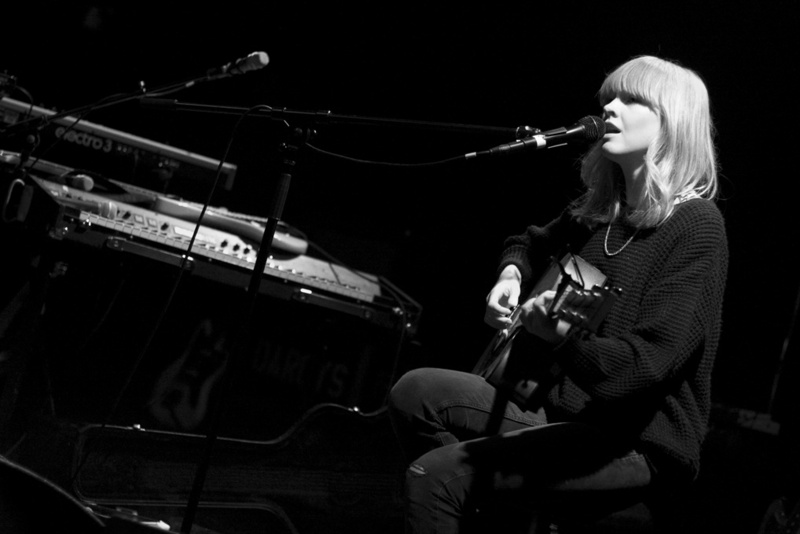 As is, it ought to land Lucy Rose a bright career, or at least a few more minutes on stage.